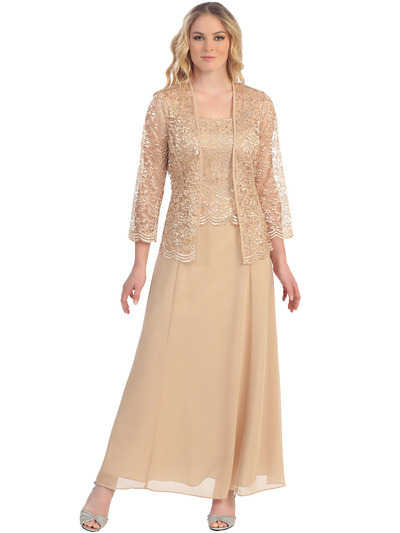 Long Evening Dress with 3/4 Sleeve Lace Jacket | Sung Boutique L.A.
Ladylike and filled with lace, this long, scalloped gown is soft and sensational! Composed of lace and silk chiffon; its A-line silhouette is flattering on all figures and even boasts the look of separates. Wear it solo or cover up with a loose fitting, long sleeved lace jacket; which is perfect for cooler evenings or if you wish to conceal your arms.